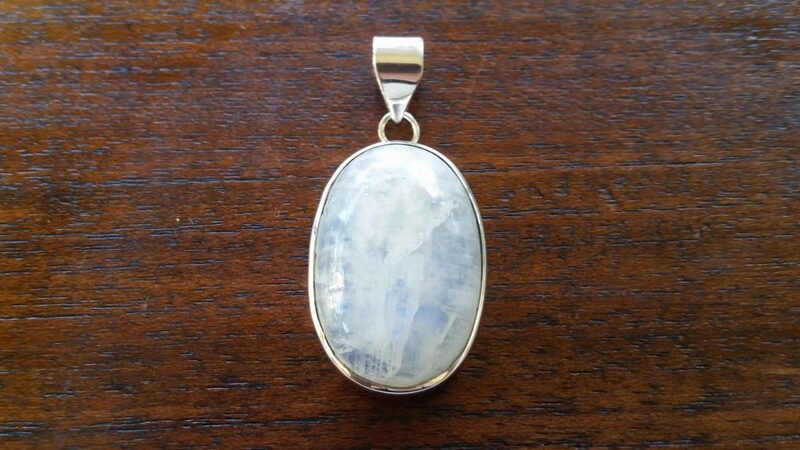 Moonstone is a stone of new beginnings and encourages us to accept our intuition. Calms emotions in times of stress. Balances male/female energies. Helpful for shock and trauma. Calming for hyperactive children. Encourages lucid dreaming, especially at times of full moon. Healing – Helps digestive & reproductive systems. Alleviates degeneration of skin, hair, eyes, liver & pancreas. Excellent for PMS, pregnancy and childbirth. 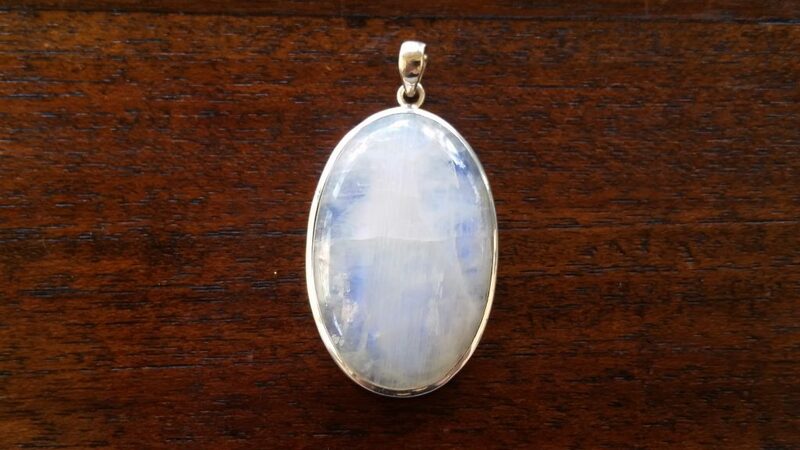 Moonstone is a wonderful stone to wear for long periods of time. Meditating with Moonstone on your Third Eye or Crown Chakras is a great way to activate them. Carrying a piece around as a hand warmer is wonderful for calming stressful times.